great place to stay ... this is a great place to exprience! nice and quiet enviroment and clean room and beddings! we enjoyed very much for an overnight stay. we were the only asians, though. Wildebeest Eco Camp is a great base in Nairobi to travel within Kenya or East Africa./ Conveniently positioned in beautiful Langata it is possible to enjoy the best of both worlds – being close to major tourist attractions, Nairobi National Park and Galleria Shopping Centre, with good transport links to the city centre as well as both the domestic and international airports. 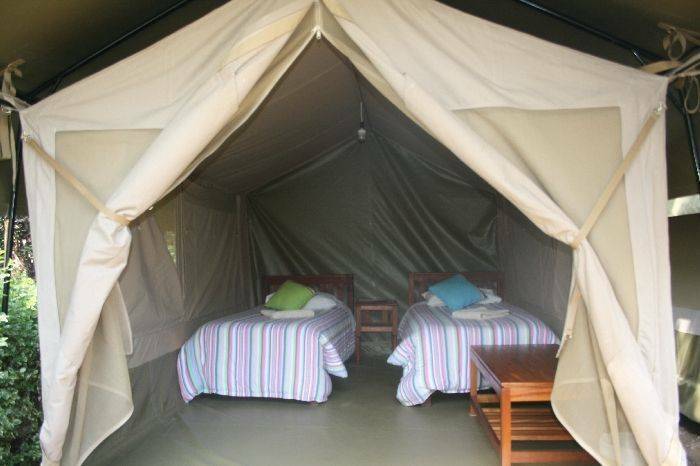 Wildebeest Camp is the perfect place to relax during your African migration! 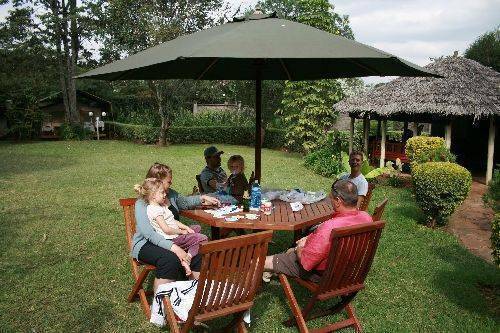 The friendly 'home-like' atmosphere is a great place to meet other travellers, or to just relax and enjoy the amazing gardens. The well-established tropical gardens are home to hundreds of varieties of plants and birds - and we even have a vegetable garden, as well as a variety of fruit trees. 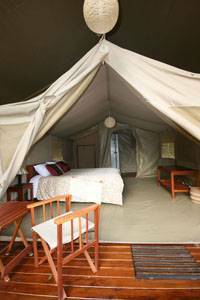 There are many accommodation options with prices starting from only US$14 per person per night (camping) to US$110 per person per night for a private deluxe safari tent with private en-suite. All rates include breakfast. Close to our camp, you can purchase souvenirs at the Masai Market at Galleria shopping mall, visit the Elephant orphanage, Giraffe centre, Kibera (the largest slum in Sub-Saharan Africa) or dine at the world famous Carnivore! We also have a travel office on site so if you need help with booking safaris, airfares, bus, train, day tours, rafting, balloon safaris, basically anything that you might need during your visit to East Africa - we can help! 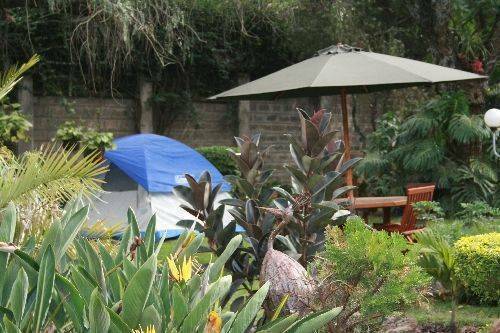 Wildebeest Camp has loads of facilities that will make your stay easy, enjoyable and comfortable. It will seem like paradise! We are located in the safe and desirable Kilimani area. 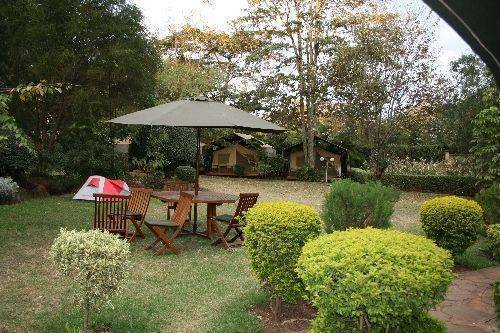 This is a leafy inner suburb of Nairobi, only two kilometres from the city centre. Situated in a quite street just off a main road, we are close to shops, cinemas, restaurants and transport links. It is a nice area to walk and explore the 'real Nairobi'. The ultimate meat-eating experience. You can try many regular meats as well as ostrich, crocodile and camel. If you are unable to arrive on you booked arrival date for any reason (flight cancelled, delayed, traveling standby etc), and you are able to contact us, we may be able to hold your room for you for immediate check in on arrival, although we do reserve the right to sell the room. Whether you contact us or not, and whether we sell the room or not, you will still be responsible for 100% payment of your original booking, for which we will be happy to provide a receipt for you to claim reimbursement from your travel insurance or airline. If you know that you will not require a future booking we are holding for you, please let us know. All bookings cancelled within one month of arrival will be subject to a 100% cancellation fee. If you have made your reservation more than two weeks prior to your arrival date, please reconfirm your booking within a week of your arrival. If you do not reconfirm, we reserve the right to cancel your booking without notice. We are located about 6 kms from Nairobi downtown. Our camp is located easily to take advantage of public transport. We are 1 and half a kilometre from bus and matatu stops. The train station is 10 kilometres away. There are shuttles and buses to Tanzania, Uganda and Ethiopia within a couple of kilometres of the camp. Wilson Domestic airport is approximately a 10 minute drive and Jomo Kenyatta International Airport is only 30 minutes (with no traffic hold-ups). Nearest airport: Wilson Domestic airport is approximately a 5 minute drive and Jomo Kenyatta International Airport is only 20 minutes (with no traffic hold-ups).